When families vacation in Ireland they often stick to the coastal regions or Dublin for the history, scenery and liveliness of the area. 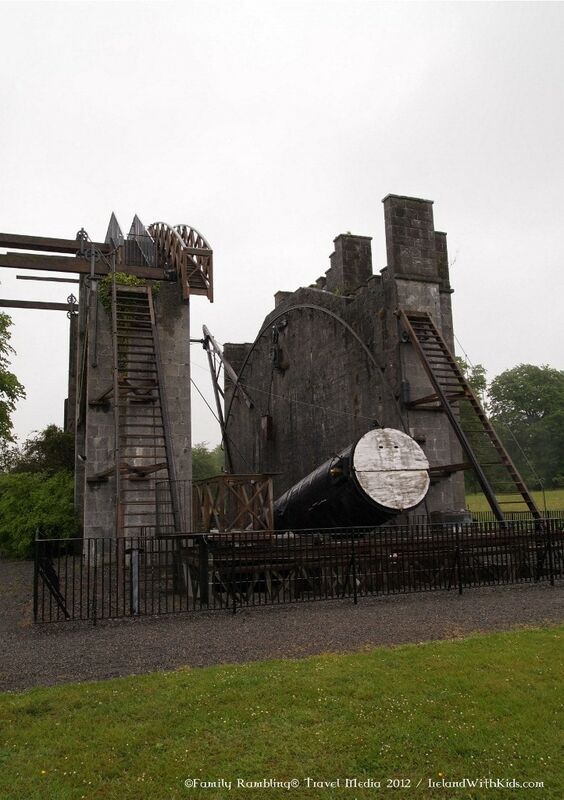 Few who visit Ireland realize that some of the most important discoveries in our galaxy were made from the grounds of Birr Castle in County Offaly. 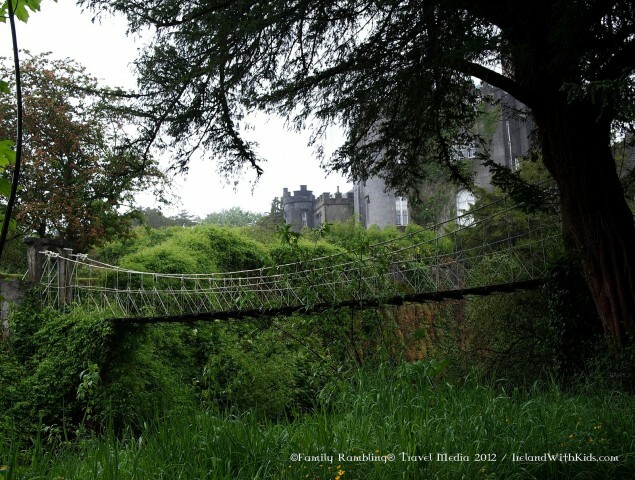 Birr Castle sits in the heart of Ireland. The surrounding demense (pronounced ‘domain’), over 120 acres of parkland, is filled with pathways, splendid gardens and riverside walks. And in the center of all that sits the Great Telescope. Designed and constructed in the 1840s by the 3rd Earl Rosse, the Great Telescope was the largest in the world for over 70 years. Almost immediately upon completion great discoveries were made- including the Whirlpool Nebula (which could make you think a bit deeper on those ancient Celtic spirals). But the contributions to science didn’t end with the ‘Leviathan’. The 4th Earl Rosse correctly estimated the heat of the moon; Sir Charles Parsons, son of the 3rd Earl and brother to the 4th, created and patented both the steam turbine engine and the electrical generator; Mary, Countess Rosse was a pioneer in photography; and 3 generations of the family have contributed to one of the most widely regarded plant collections in the world. The converted stables now house a magnificent science center that even young children will enjoy. 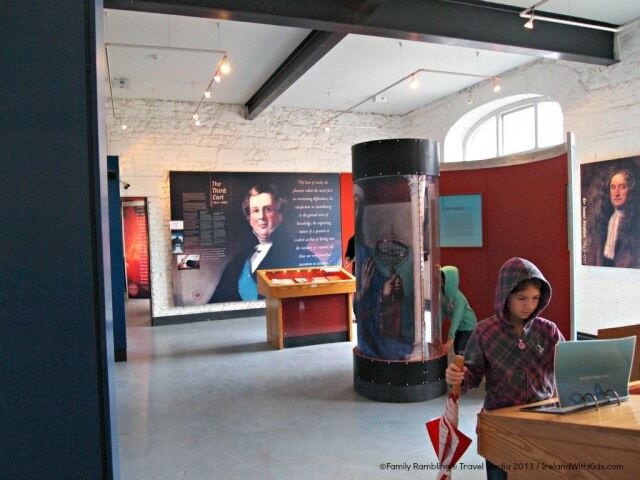 Galleries are filled with images, displays and hands on learning making this a fun and educational stop. Birr Castle Demense is famed for its gardens, which have been called the finest in Europe. Natural rivers and waterfalls- which were used by the family to harness electricity- are crossed by beautiful bridges. One bridge, built in the 1820s, is thought to be the oldest suspension bridge in the world. The wild river-side garden invites exploration and, if you’re quiet, you may see the adorable otters; the Victorian Fernery can be viewed from above an enchanting waterfall; the spiral garden is fun for kids to race through; and the formal garden is absolutely breathtaking when the plants and flowers are all in bloom. You’ll even find a play area near the gardens with swings, toys and tables for mom and dad to relax. Far from being a place for only science, Birr Castle Demense provides an incredible outing for families with children of any age. what an awesome place! we’ll have to go visit, next time. thanks for the great rec!